It's still January, so it's still "organizing season" in my mind. One thing I've noticed recently is that our DVD collection is a little out of control. My kids seem to own a copy of just about every kids' movie ever made. I hope to pare down some of the discs we don't watch or need...and reorganize the ones we keep. For today, here are some Organizing Tips on Ways to Organize DVDs. As always, please be sure to Pin from the original source. Or, you can use our current system of shoving them in an antique secretary unit and calling it a day. 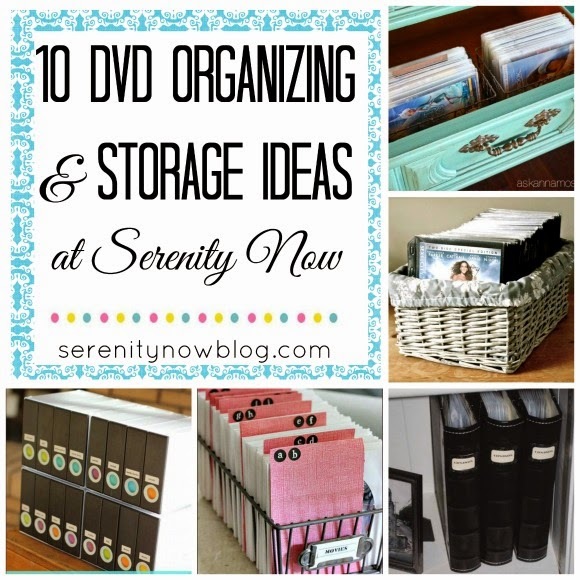 How do you organize and store your DVD collection? If you enjoyed this post or found it helpful, I hope you'll click your "Pin It" button to add this post to Pinterest, or a +1 for Google+. And I always appreciate kind comments, Facebook shares, and Tweets! I love the popsicle stick idea! I've never seen that before.